My Daughter and I can usually sense when a there is a knitting storm on our horizon. A knitting storm is what we call a day long knitting frenzy which usually occurs after obtaining fresh and pristine yarn. We know the storm is inevitable in the morning because we get these mild twitches every time we pass by our knitting needles sitting silent in their mason glass jars. 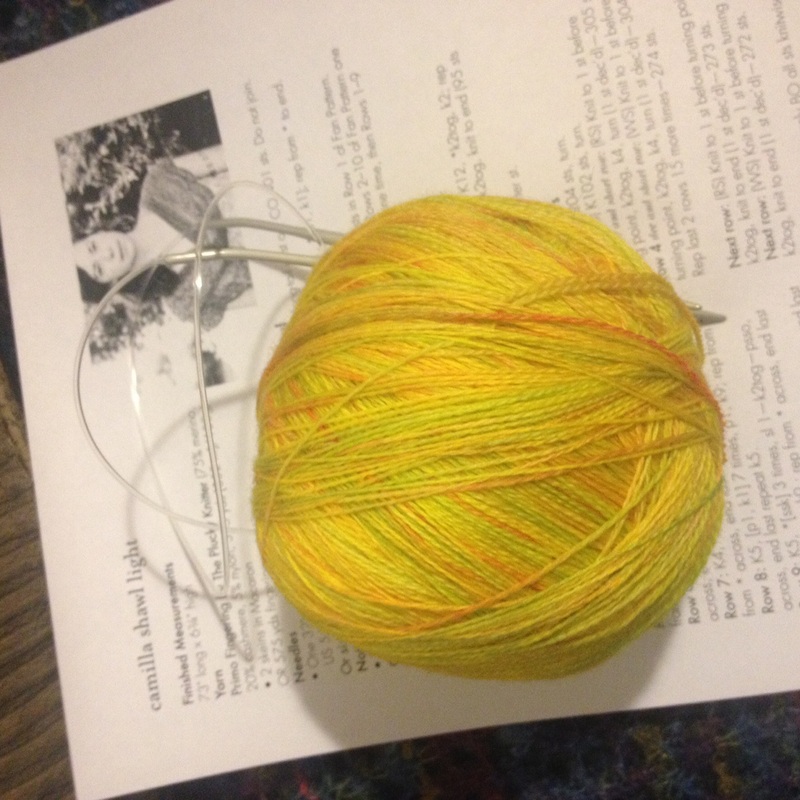 Jen has even reported that she can hear my yarn crying when I am preoccupied by everything else and not my knitting. The knitting storm then usually breaks out shortly thereafter. It begins with brewing a pot of tea which is then set atop our wooden coffee table, followed by a short discussion on which movie or television shows to watch. Our favourites in the past have included: Sense & Sensibility, Lord of the Rings, Dr. Who, Harry Potter or Dexter. Of course, these are movies and shows that we have already seen. That way, we can focus attention on our knitting, where it belongs. It doesn’t take long before we can see our shawls, scarves, cowls, sweaters, mitts and hats take shape. In the past, we have even had sock competitions and try to make a pair of socks in one day using size 5mm needles and bulky weight yarn. Jen usually wins because she knits continental wise which is much faster than my British method. I have tried to change, but alas, you know what they say about an old dog learning new tricks. Mind you, we don’t have as many knitting storms as we use to. Although, thank goodness, from time to time we do manage to do a little knitting together even if it is for only twenty minutes or so. … but certainly a pleasant and short burst of warm summer rain.